Michael Nemelka specializes in complex commercial litigation, and has experience across a broad range of civil and criminal matters. He has tried numerous cases to verdict in federal and state courts, as well as before arbitration panels. He has represented corporate and individual clients in cases involving antitrust liability, trust administration, breach of contract, professional liability, intellectual property, and government securities and FCPA investigations. In one of the few antitrust class actions to go to trial, Mr. Nemelka was a member of the trial team that represented a class of direct purchasers in a four-week jury trial alleging price fixing by the Dow Chemical Company among others. The jury rendered a $1.2 billion dollar verdict after trebling on February 20, 2013. Prior to the trial, all of the other defendants settled with the class. In re Urethane Antitrust Litig., MDL No. 1616 (D. Kan. 2013). Mr. Nemelka has spearheaded the investigation of the core claims in the antitrust litigation against the two leading providers of dealer management systems, CDK Global, LLC and The Reynolds & Reynolds Company. In re Dealer Mgmt. Sys. Antitrust Litig., MDL No. 2817 (N.D. Ill.). Mr. Nemelka successfully served as lead trial counsel for Authenticom, Inc. at the preliminary injunction hearing in the Western District of Wisconsin. Global Competition Review named Mr. Nemelka, along with his partners Derek Ho and Aaron Panner, “Litigators of the Week” for obtaining this rare preliminary injunction. In addition to his trial work, Mr. Nemelka has drafted merits and amicus briefs in the U.S. Supreme Court and state supreme courts. 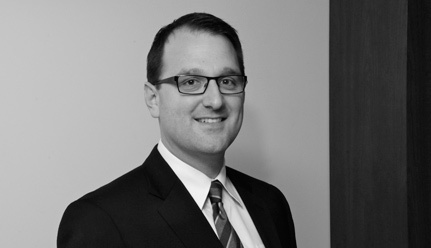 Mr. Nemelka joined Kellogg Hansen in 2007 after clerking for the Honorable Paul V. Niemeyer of the United States Court of Appeals for the Fourth Circuit. He earned his J.D. from the University of Virginia, where he was on the managing board of the Virginia Law Review, and a B.A. in history from Brigham Young University. Representing multiple individual plaintiffs in a major antitrust litigation against the two leading providers of dealer management systems, CDK Global, LLC and The Reynolds & Reynolds Company. Mr. Nemelka has spearheaded the investigation of the core claims and successfully served as lead trial counsel for Authenticom, Inc. at the preliminary injunction hearing in the Western District of Wisconsin. Represented iHeartCommunications, Inc. in defeating motion to dismiss and establishing personal jurisdiction over noteholders of the company, in a dispute involving notices of default issued to iHeart in Texas. Member of the trial team that represented a class of direct purchasers in a four-week jury trial alleging price fixing by the Dow Chemical Company among others. The jury rendered a $1.2 billion dollar verdict after trebling on February 20, 2013. Prior to the trial, all of the other defendants settled with the class. Counsel in Delaware Supreme Court appeal defending judgment by the Court of Chancery regarding the interpretation and distribution of assets of a large Delaware trust. The Court unanimously affirmed, resulting in a complete victory for the firm’s clients. Represented private equity firm Thomas H. Lee Partners in high-stakes dispute with its special limited partner. Case settled on favorable terms after key victory on summary judgment. Member of trial team in Delaware Court of Chancery case involving the effect of a strategic adult adoption on the distribution of principal under a trust, as well as a dispute over the terms of the governing trust instrument. Court of Chancery ruled in favor of the firm’s clients on all issues. Also represented co-trustees in related litigation, which settled on favorable terms. Lead trial counsel for Verizon in a four-day arbitration involving a contractual dispute with a local telecommunications provider. Arbitrator ruled in favor of Verizon on all claims. Represented former CEO and COO of Sprint in securities fraud class action suit. Plaintiffs alleged that there were false and misleading statements in Sprint’s proxy materials related to the executives’ employment at the company. The court granted defendants’ summary judgment motion, for a complete victory for the firm’s clients. Represented private equity firm in a multidistrict litigation in the Southern District of New York arising out of the collapse of Refco, then the largest independent derivatives execution and clearing firm in the world, including claims against Refco’s law firm and auditor. Represented private equity firms Bain Capital and Thomas H. Lee Partners in much-publicized multibillion-dollar breach-of-contract action against six banks, arising out of the banks’ refusal to honor their commitment to finance the Clear Channel Communications leveraged buyout transaction. Expedited discovery was conducted in less than six weeks. Immediately before trial in New York state court, our clients prevailed on their argument that specific performance was an available remedy. The parties settled shortly thereafter, with the banks agreeing to finance the transaction.